Like it or not, we live in comfort-driven, fleece-lined times. But just because 2018 is all about ease doesn’t mean you have to look like you’re nursing a hangover all the time. 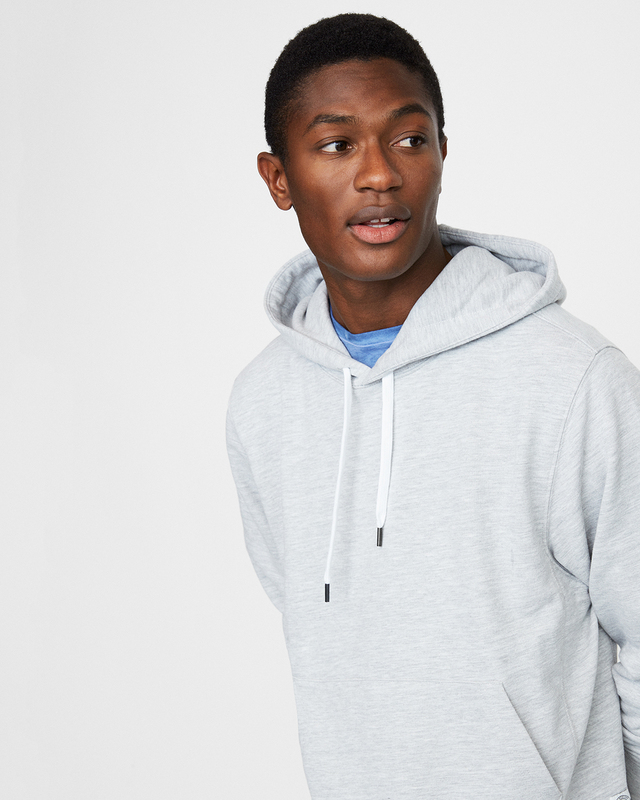 Take every man’s favorite top layer: the fleece lined hoodie. Sure, you could wear it with basic jeans and basketball sneakers, but you could also kick things up a notch with some slightly more serious add-ons. Want to take the hoodie challenge? 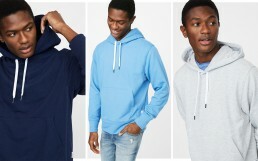 Start with a sweatshirt that fits you well (no knee-length hems here), then try one of these four looks on for size and watch your style stock instantly rise. If your rotation of 9-to-5 tailoring and weekend sweats has you bored out of your mind, remix your wardrobe so that every outfit isn’t quite so on the nose. 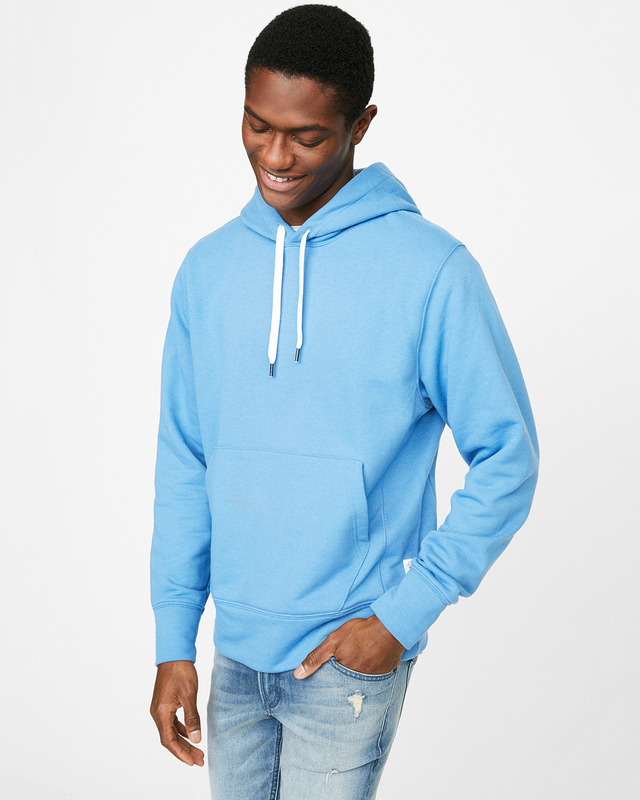 Wear your best blue suit to your Saturday museum date or Sunday-night potluck with a hoodie underneath for a not-so-serious twist. 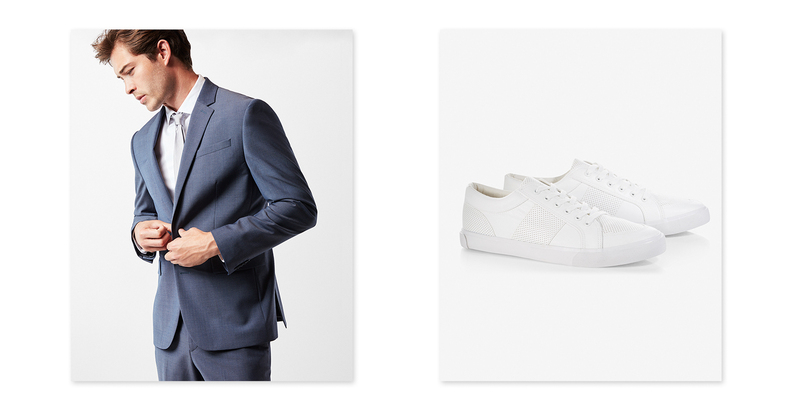 A pair of white leather sneakers seals the deal on this minimal, casual, and comfortable look. Women have beautiful kimonos, kaftans, and tunics to wear over their swimsuits at the beach or pool. Why shouldn’t your swimsuit look be just as stylin’? Wear your graphic print trunks with a bold color hoodie and a pair of sneakers for a more cohesive alternative to a random T-shirt and flip-flops. Finish the look with some party sunglasses and you’re ready for social media—and possibility Internet stardom. 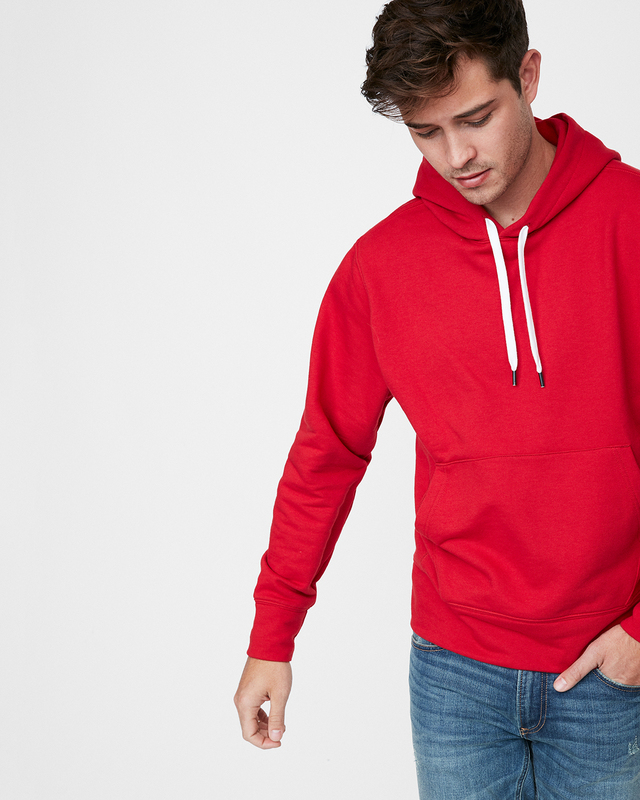 There’s something about a classic drawstring hoodie in a strong solid color that just makes you feel nostalgic, no matter what generation you belong to. Embrace the retro flavor of this wardrobe icon with jeans and a T-shirt that look like you’ve owned them for at least a decade, and canvas sneakers that have been cool since your dad was in high school. Then go out and do something totally analog—bowling, dinner at the diner, or maybe a drive-in. Military-inspired staples in gray, black, and navy were made for those get-stuff-done days when you leave the house at 10am and don’t come back until the sun has set. 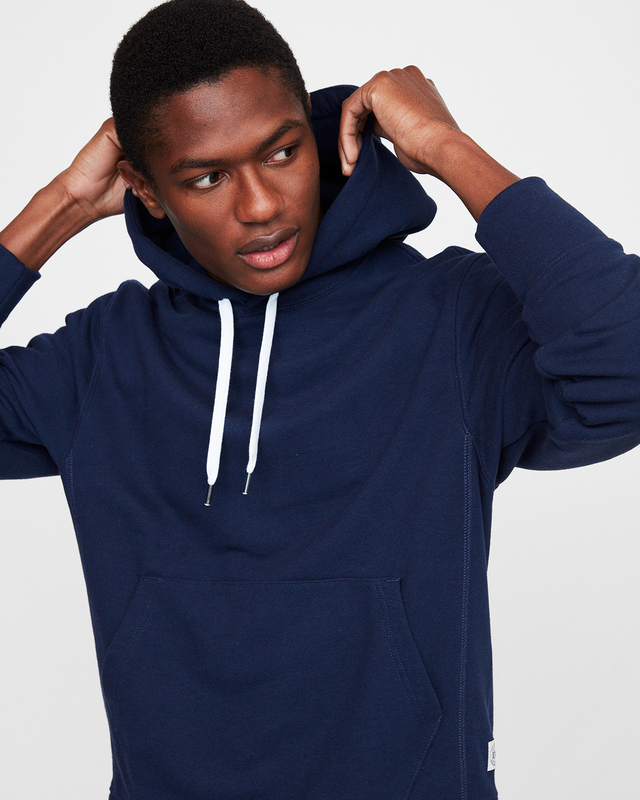 Think: streamlined joggers, high-top sneakers and the one-two punch that is a hoodie worn under a bomber jacket. Whether you’re cramming at the library or running endless errands, you’ll feel like a boss in this confident yet casual combo.